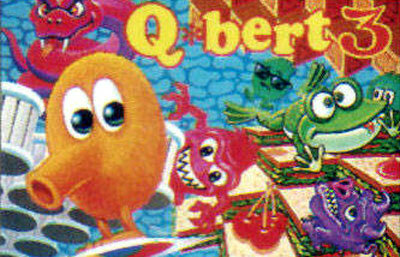 Q*bert is very good at hopping and does so on a isometric grid in the shape of a pyramid. Q*Bert 3 takes this simple premise and applies it to varying themes and forms of the grid. There are a total of 20 levels with 4 boards per level of increasing difficulty. Happy hopping!